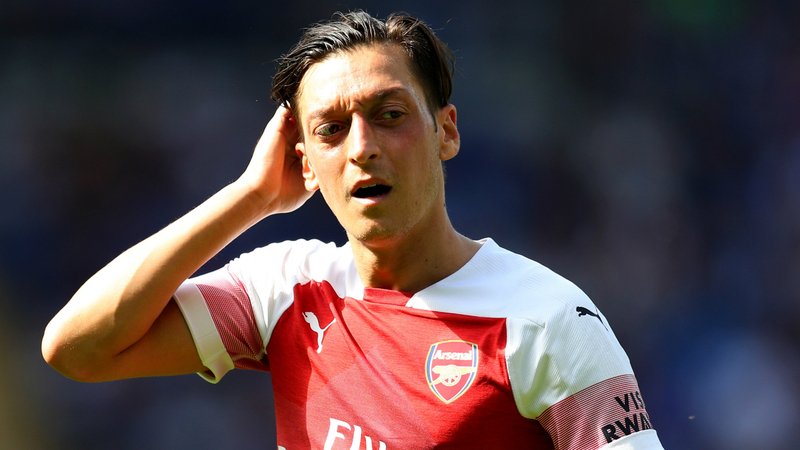 Mesut Ozil has missed out on a place on the shortlist of midfielders for the 2018 FIFA FIFPro World 11. The Arsenal star failed to earn enough votes to make the 15-man list, which was announced by FIFPro on Monday. Bayern Munich's Thiago Alcantara and Paris Saint-Germain's Marco Verratti are the two other players to make last year's shortlist who do not appear this time. Kevin De Bruyne and David Silva of Manchester City, along with Barcelona's Ivan Rakitic, return to the top 15 after missing out in 2017. Manchester United duo Paul Pogba and Nemanja Matic are included, as is Andres Iniesta, who left Barca for Vissel Kobe after the end of last season. Sergio Busquets, Casemiro, Philippe Coutinho, Eden Hazard, Isco, N'Golo Kante, Toni Kroos, Luka Modric and Arturo Vidal are the other midfielders on the list. Meanwhile, Leonardo Bonucci failed to make the list of 20 defenders nominated for selection in the team after an unsuccessful season at AC Milan. The 31-year-old was named in the 2017 World 11 but endured a difficult year in Milan, finishing sixth in Serie A before returning to Juventus in August. Bonucci's Juve team-mate Giorgio Chiellini is among the nominated defenders, along with Stuttgart's World Cup-winning full-back Benjamin Pavard, Real Madrid's Sergio Ramos and Liverpool's Dejan Lovren. The other defenders with the most votes are Jordi Alba, Dani Alves, Dani Carvajal, Virgil van Dijk, Diego Godin, Mats Hummels, Joshua Kimmich, Marcelo, Yerry Mina, Gerard Pique, Thiago Silva, Kieran Trippier, Raphael Varane, Sime Vrsaljko and Kyle Walker. Earlier, the five goalkeepers with the highest number of votes were announced as Gianluigi Buffon, Thibaut Courtois, David de Gea, Keylor Navas and Marc-Andre ter Stegen.